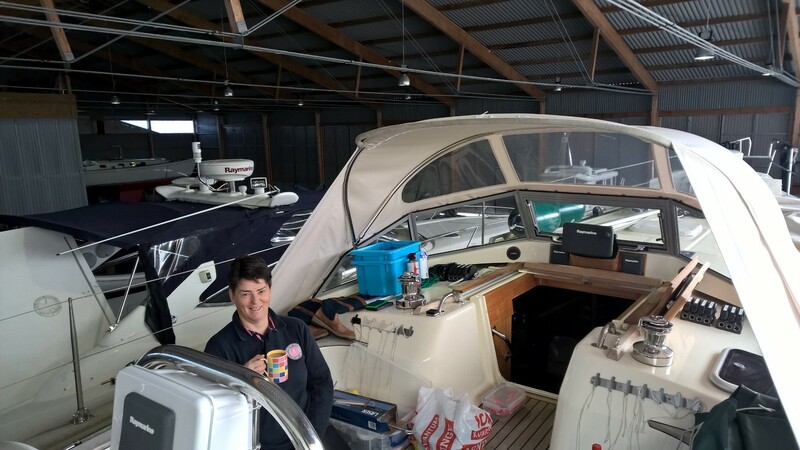 Our plan had always been to drive the car out to Sweden, so throughout the winter we had bought things for the boat under the knowledge that we could take them over in the car. The flaw in the plan began to dawn as we moved everything into the sitting room…. As it appeared to be more than a cars worth. 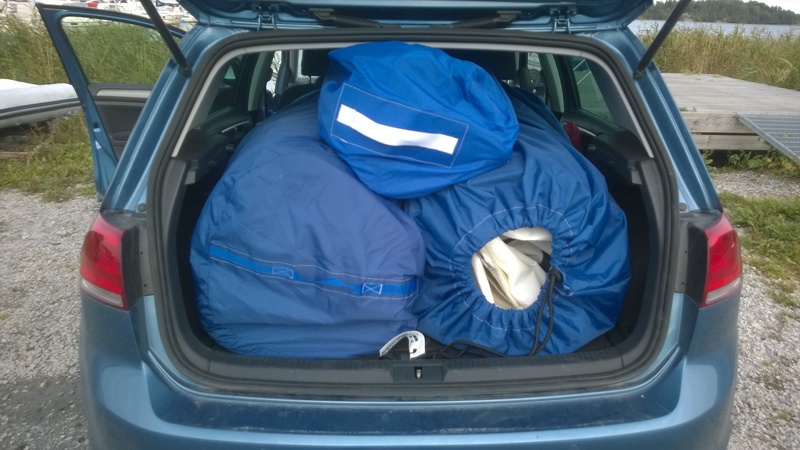 Mags rose to the packing challenge and every square inch was used – including packing kit around the spare wheel. So with wheel arches greatly diminished we set off on an 1000 mile journey via the channel tunnel and a ferry from Kiel to Gotenborg. Stopping overnight in Herford, Germany where I had been posted for 15 months in 1987. I had forgotten that the old town was so beautiful and was relieved to see that the Mess was looking in good order despite being handed back to the Stadt in 2015. After a long drive, we were back at the boat. Thankfully the car had managed the journey despite being fully laden. 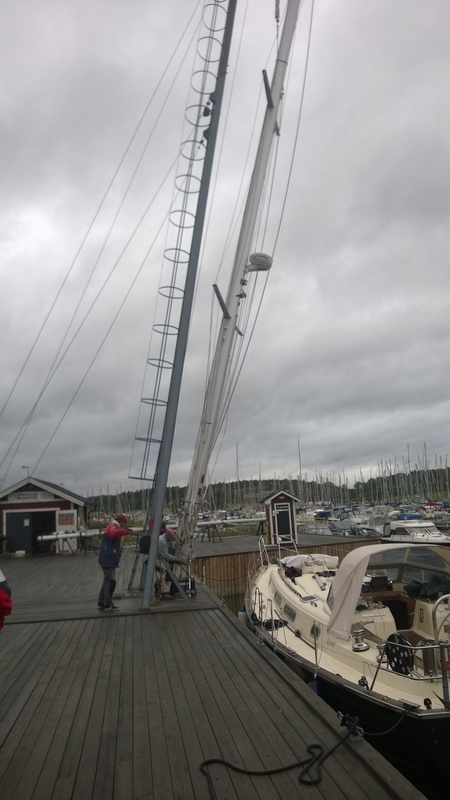 The next week was spent getting the boat back in the water, putting the mast back and sails on. 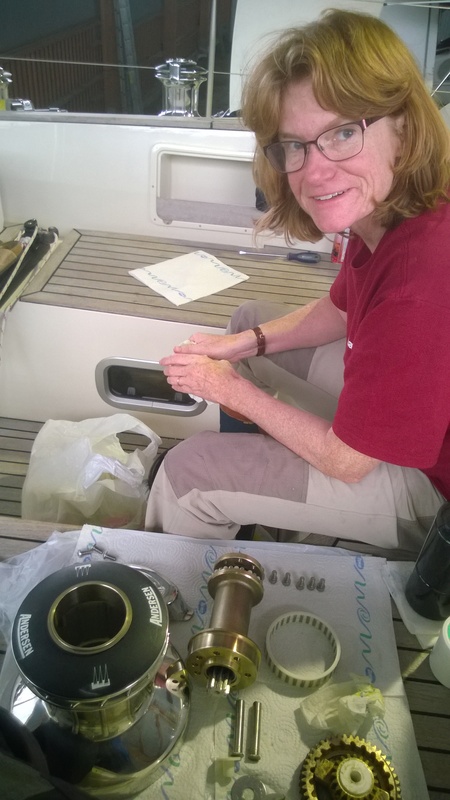 We had a couple of big maintenance tasks to do – change the gas regulator and a water sensor. Both of which had failed and were being replaced. It gives you a great sense of satisfaction when you manage to complete task unaided. 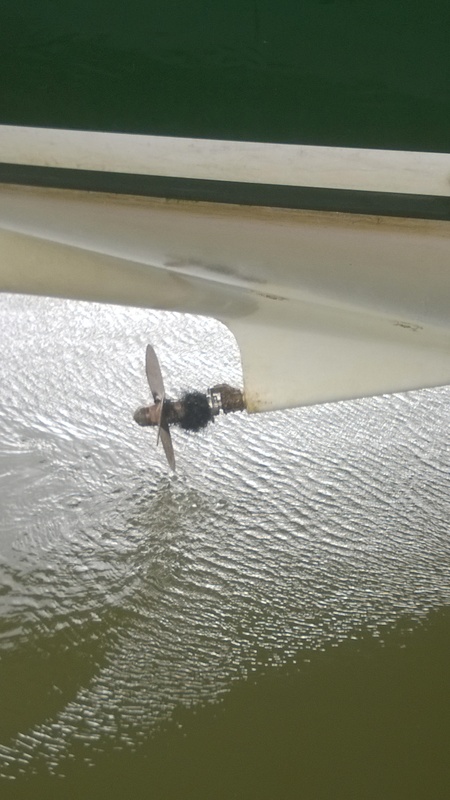 We were due to get the radar reflector and wind generator fitted. 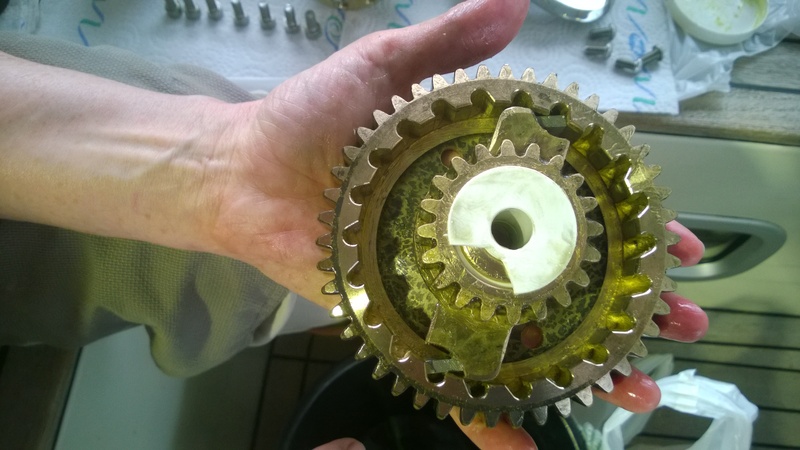 But frustratingly both items were supplied with some missing components – so they are still on the to do list. 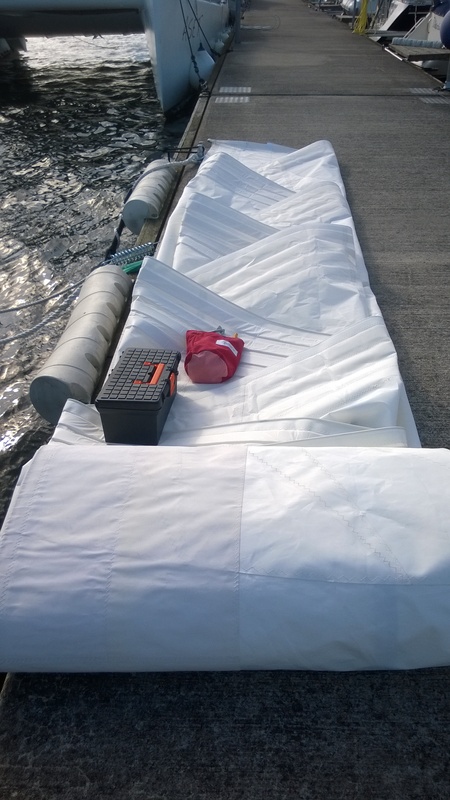 We did manage to get part of the wind generator up – it just lacks blades. This was another item that had failed and was being replaced under warranty. The physical mounting of the generator should have been straight forward – it sits on a pole and we were replacing it with the same unit except them appear to have reduced the pole diameter. So it was a very tight fit – which took a frustrating hour. We invited some local friends Goran and Lena over for drinks on board. 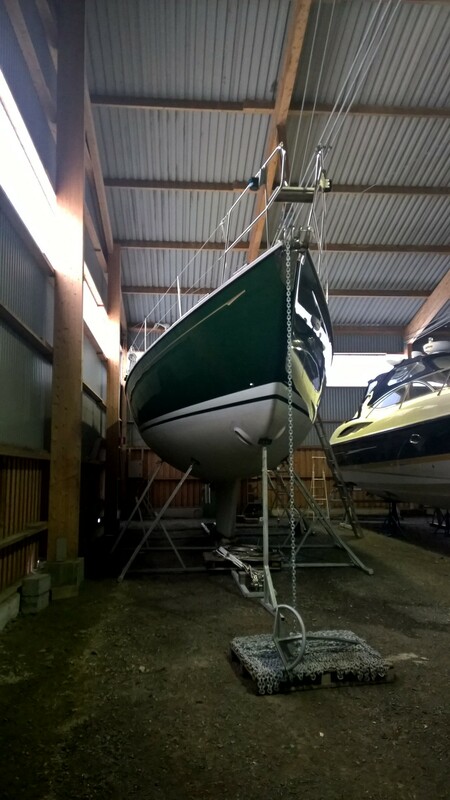 It was a good deadline to get the boat looking less like a tip and more like a home. We had a lovely evening with them and we will catch up with them in June.